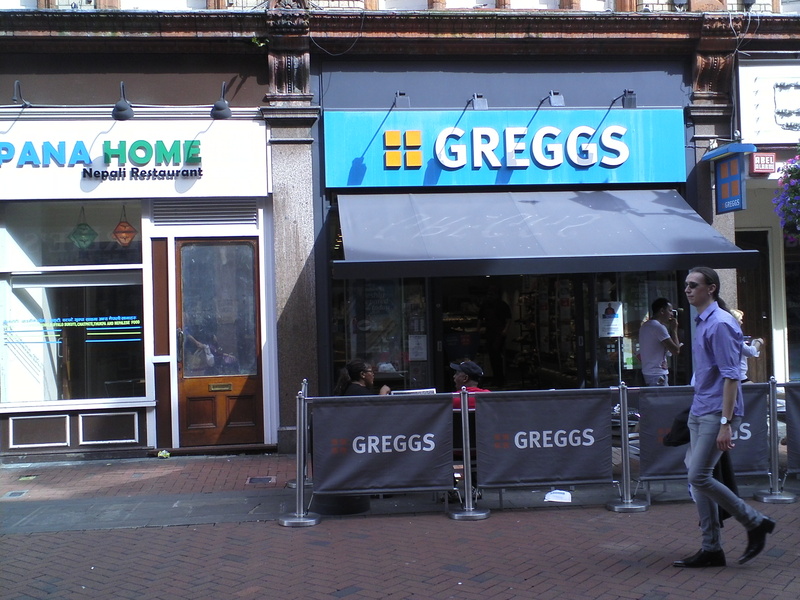 The first Greggs I chanced on was situated on Queen Victoria Street. 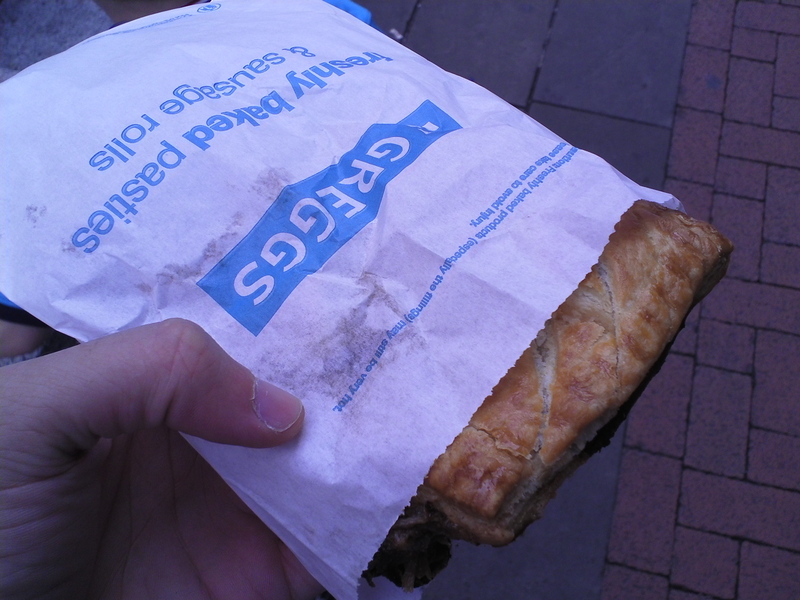 Following Lee’s recommendation, I proceeded to purchase myself a beef and gravy steak bake . 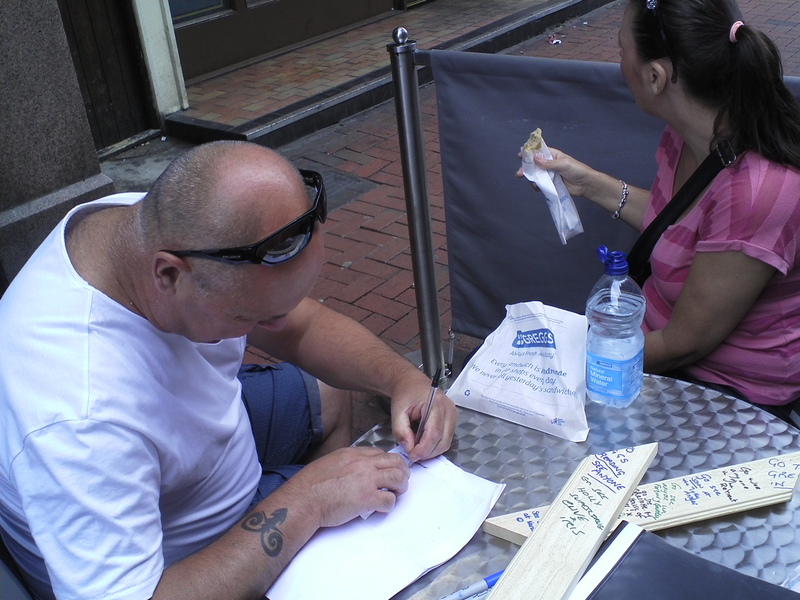 I then encountered Clive and Iris, who were eating al fresco as the Greggs outlet on Queen Victoria Street features outdoor seating.